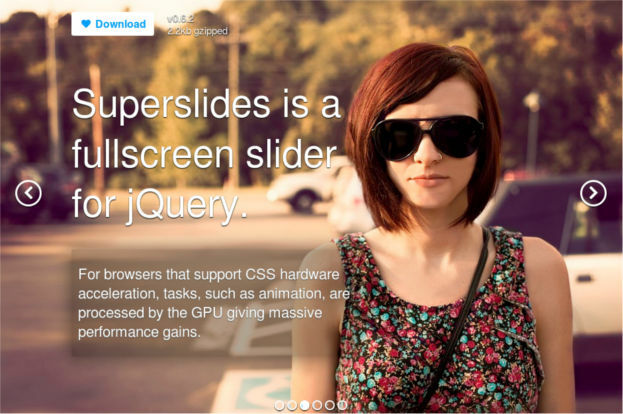 Superslides have options for auto play with slider timings and transition timings. It comes with a very nice api to trigger other functions on start, stop, pause etc. The hardware acceleration realy helps to use the GPU for transistions when available. This will reduce the load on CPU and make transistions much smoother. the ability to extend the existing animations with your own. See examples/custom-fx.html.